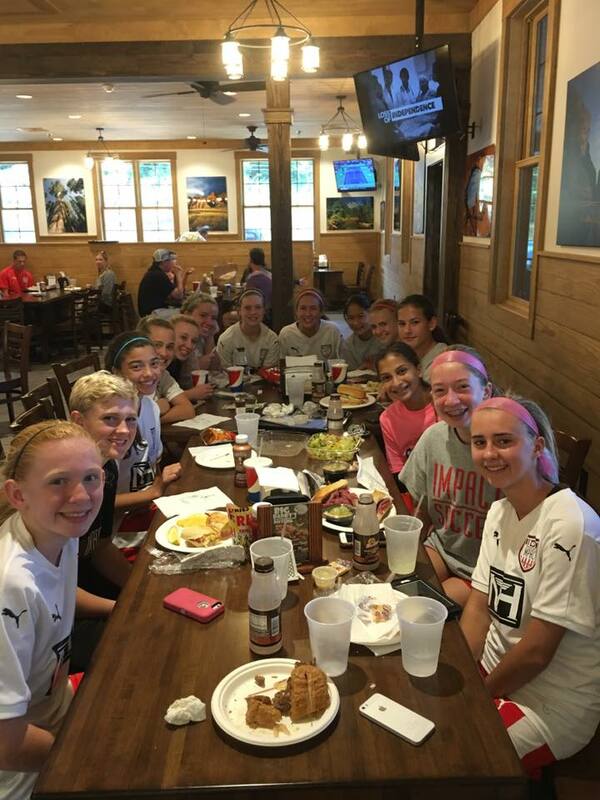 "Fall" soccer season kicked the last week of July with team camp. Since then practices have been back in full swing as well as several preseason tournaments. The Smyrna Adidas Mundial Cup was first up. 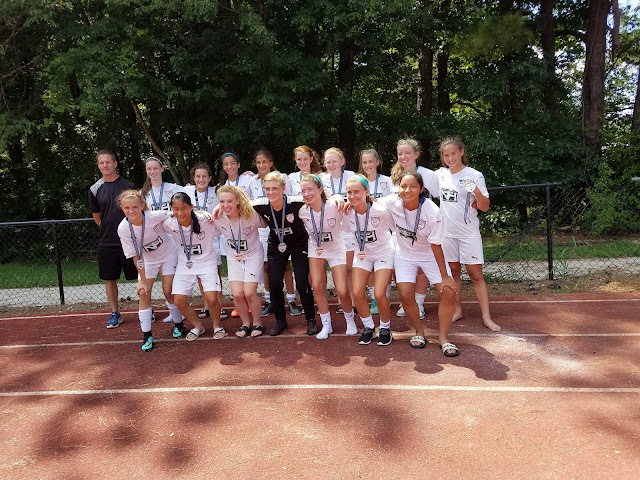 Both Sydney and Bryce's teams competed in this local tournament. Being that it was August in Georgia you can bet it was crazy hot all weekend so we were all nice and sweaty by the end of each day. Let's start with Bryce's team. 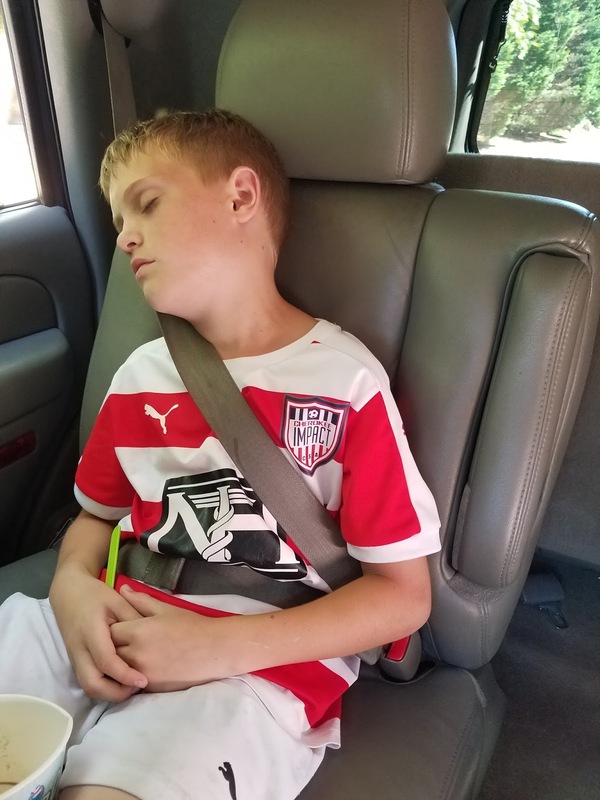 He's playing in the u10 division this year. There are some new boys on the team and they also have a new coach. The boys lost all their games unfortunately, but the positive is that the last game they played on Sunday was a well played game. Bryce still loves to play keeper and usually only plays in the goal for half of the game. I would love to say that Bryce and Sydney were playing at the same location, but that would make things way too easy. Having both kiddos playing in the same tournament made for a very long day at the fields, but thankfully none of the games overlapped too bad. 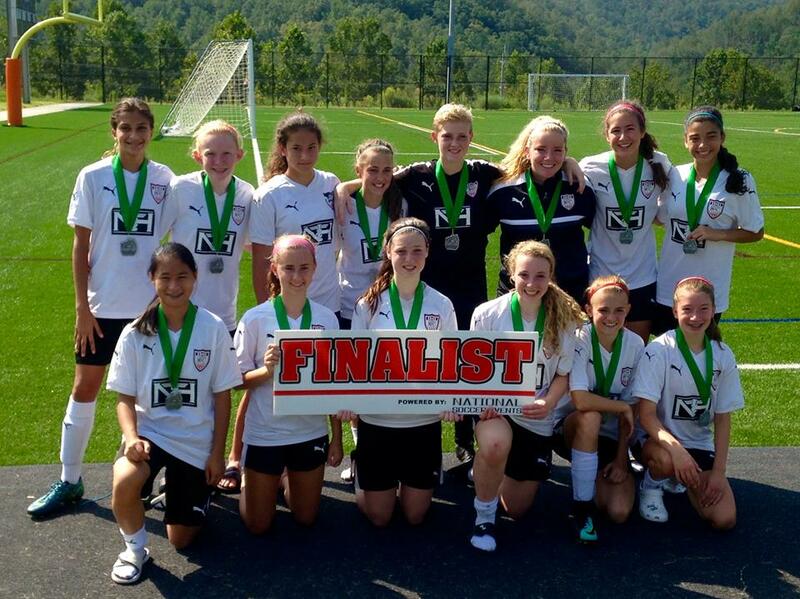 Sydney's team is now playing the u15 division, but for this tournament they played up to the u16 division. They dominated every game leading up to the finals. They ended up losing the final 2 to 1, which was a heart breaking. The one goal they scored was by our girl! I missed it because I was at Bryce's last game, but am happy to report that Joey and Katie were there to witness her beautiful shot! Taking a shot on goal. A few weekends later it was time for another tourney weekend, but this time we were headed out of town. 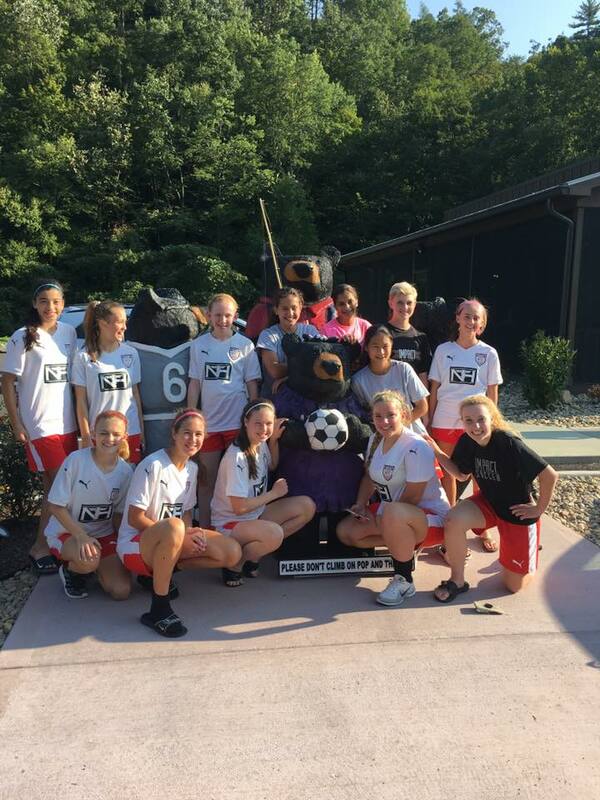 Sydney and Jordyn's teams both competed in the Gatlinburg Labor Day Invitational. Surprisingly neither girl had games that overlapped and all the games played at the same location (different fields for some games). The teams even stayed in the same hotel! The odds of this happening again are probably slim! Apparently Gatlinburg is the place to be for Labor Day weekend. It was very crowded and the traffic getting to the complex everyday was pretty legit considering the complex was only 4 miles from our hotel. It baffles me that so many people want to take their vacation in Gatlinburg. It's a little cheesy, but cute. I can say for anyone out there that really likes pancakes, then Gatlinburg is definitely the place for you. Every other restaurant was a pancake house! 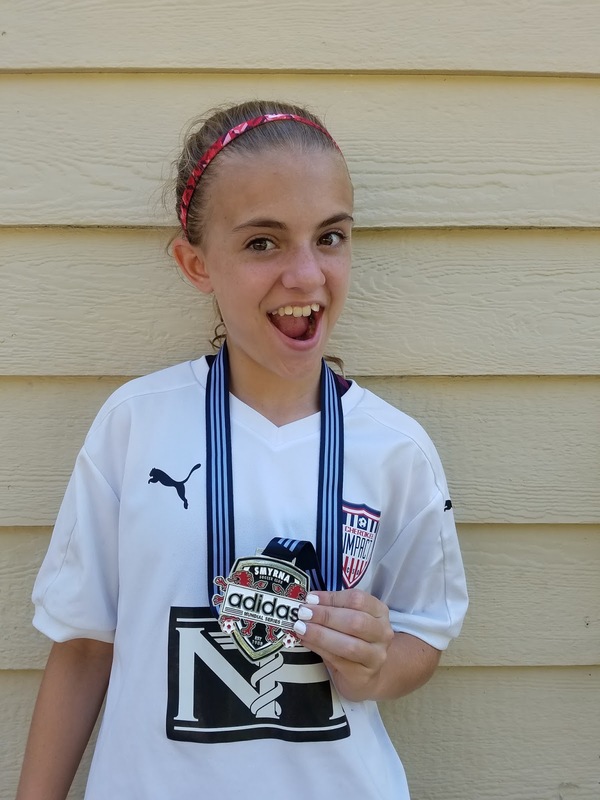 Jordyn's team ended up having to play up a division for this tournament, which put them in the u14 division. The size difference was noticeable, but the girls played so well. Better than any of us expected. They lost all their games, which is a bummer, but overall the girls played some great soccer all weekend. Not a bad showing for a new team and playing up a division. I didn't get any photos from Jordyn's 2nd game because it was too wet to pull my camera out and I didn't get any photos from their 4th game because my battery died! These photos are from games 1 and 3. Sydney's team had a great showing at the tournament and ended up with the silver medal. They lost to a team from Michigan. They won games 1, 2, 3 and then took a loss in the game 4 final. It was fun watching them all weekend even in the chilly rain and then the blazing heat. Nice view for watching soccer! Regular season starts this coming weekends so things will get a little nuts around here through November. Go kids...GO IMPACT! !